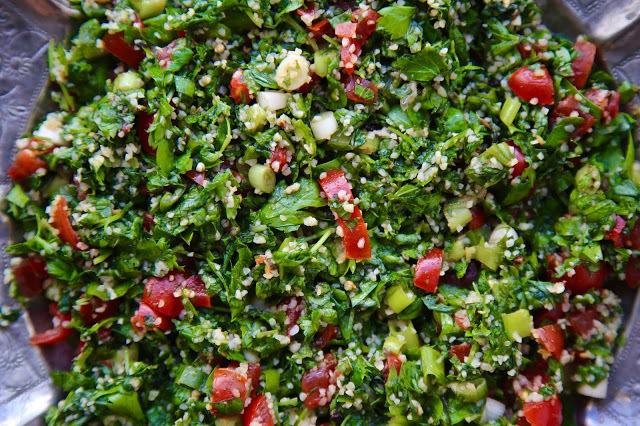 When I was asked to write recipes featuring flat leaf parsley, I thought of the most parsleyish dish of all: tabbouleh. Tabbouleh is often thought of as a bulgur wheat salad, but it’s more properly a parsley salad. There should be just a few specks of bulgar wheat, to give it body, while the overriding taste and texture ought to be of fresh herbs, finely chopped. Middle Eastern cuisine celebrates fresh herbs, both for nutritional value and flavour. 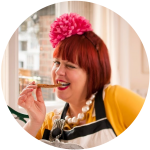 A meal can simply be a plate of various herbs ready to be wrapped in thin flatbread, the green crunchiness and intense vegetal flavour imparting vitality and vitamins. In Turkey, they have a similar mezze called ‘kisir’. 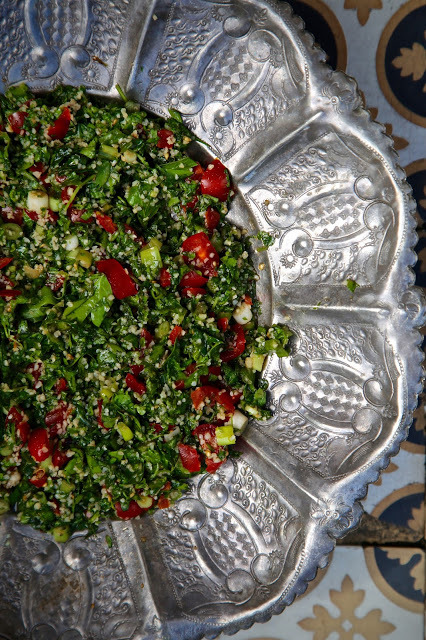 It is the inverse ratio of tabbouleh, whereby the golden colour of bulgar wheat is flecked with green parsley and mint. Bulgar wheat comes in different grades: coarse, medium, fine and extra fine. We aren’t using water to cook the bulgar wheat, which I find makes the salad soggy and heavy. The juices of the tomato, vegetables and herbs will plump up the wheat, so no cooking is required. For this method, the bulgar must be fine. 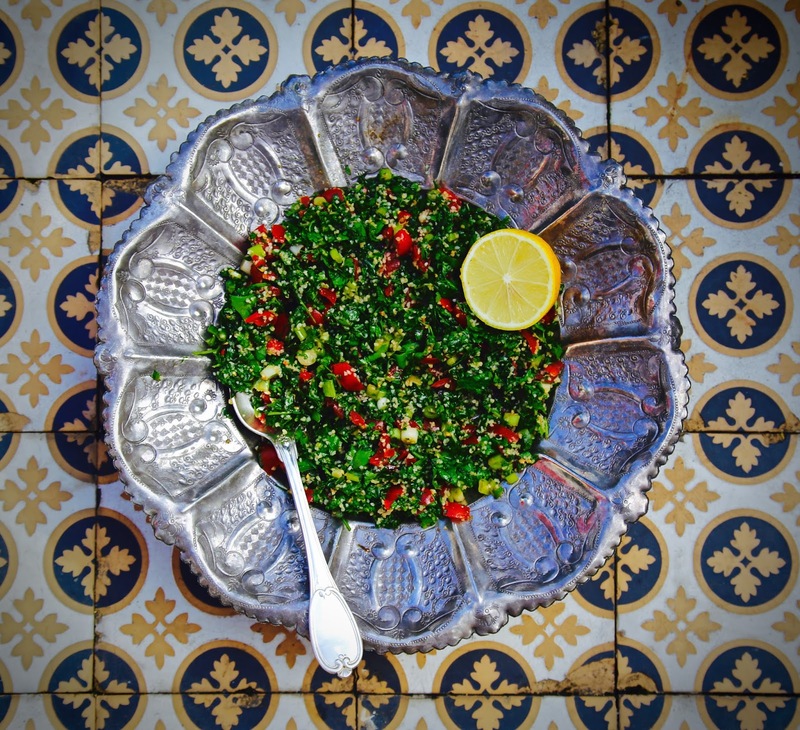 Tabbouleh is traditionally served on lettuce or cabbage leaves, and these are used as scoops. When picking the leaves from the parsley, finer stems can be included while thick stems should be discarded. The bulgar can be washed in a sieve where it will soak up the water. Chopping by hand very finely is key to this salad; take your time preparing it. Put the tomatoes, spring onions, parsley and mint into a large bowl. Mix the lemon with the olive oil, salt and spices in another small bowl. Add the bulgar wheat to the bowl of vegetables, then pour over the dressing. Leave in the fridge for at least half an hour so that the flavours can be absorbed. Fluff with a fork before serving. 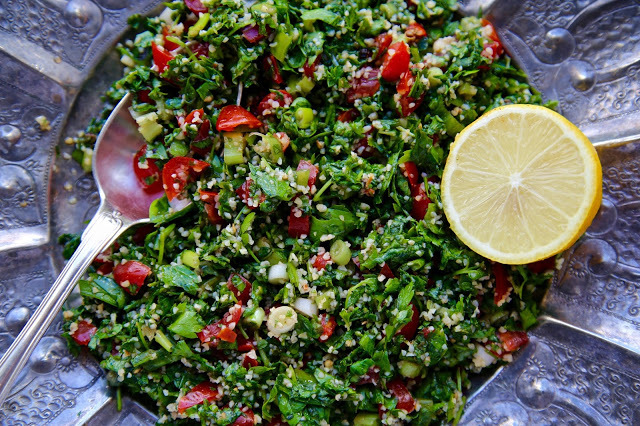 What a beautifully vibrant green your Tabbouleh has! I like the idea of some gentle spicing too.